The Floating Empire: The Big Chill Arrives!! I may try to get in a couple of posts today. 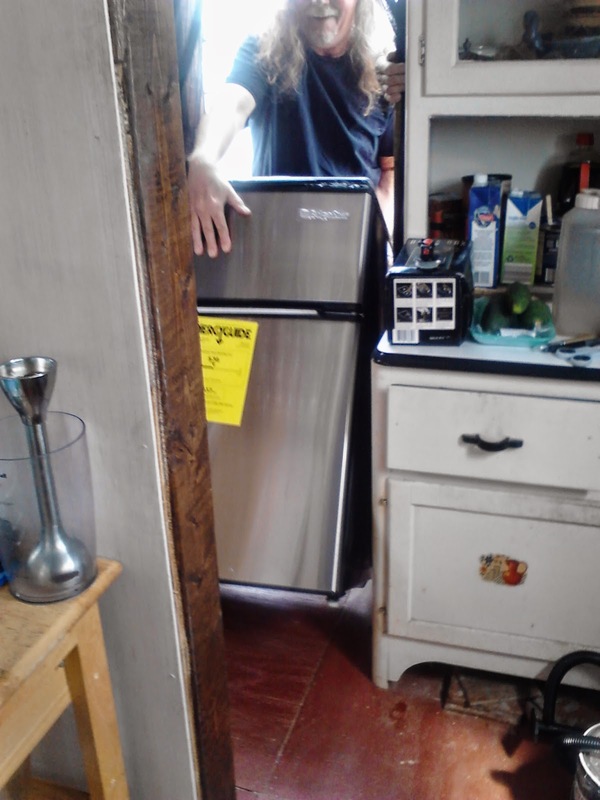 The biggest news is, of course, that Saturday AM bright and early the Fedex man dropped off our new fridge, which is a really cool thing. 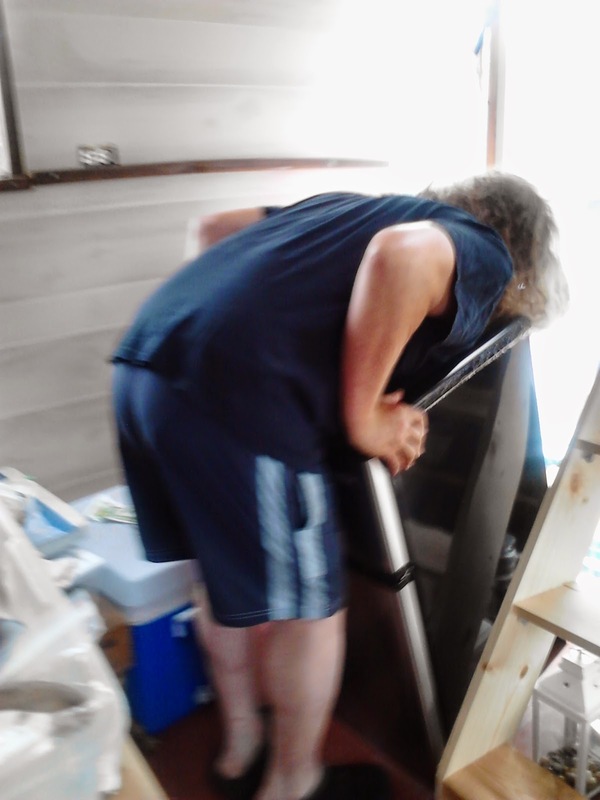 Of course we had a few worries getting it in....one of which was: if the dimensions they're providing us were off by as much as 3/4", we couldn't get it through the door. We already had that problem with our chairs, if you'll remember. Fortunately, the 19" quoted was the 19" we got. Thanks to our friend Lee and a bit of acrobatics, we got it on board and through the bow doorway. 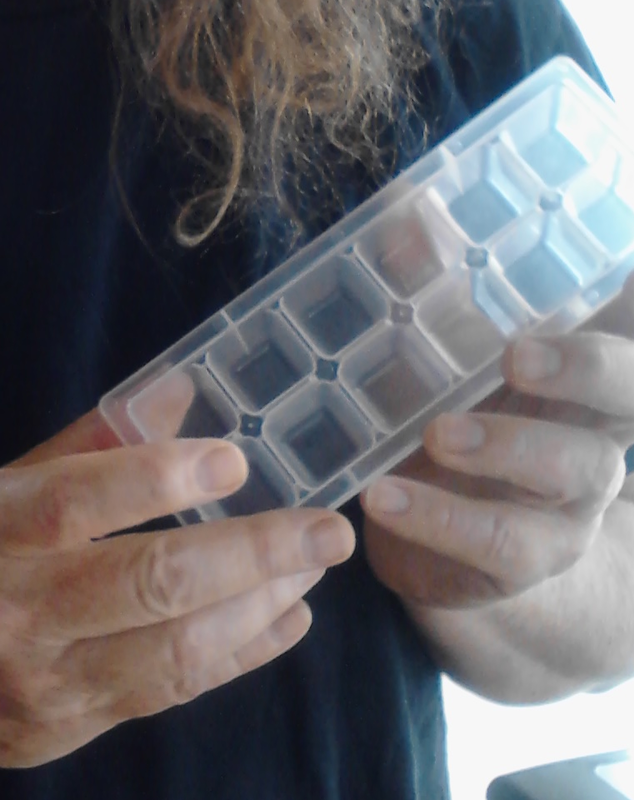 ....but do they really consider this itty thing an ice cube tray? 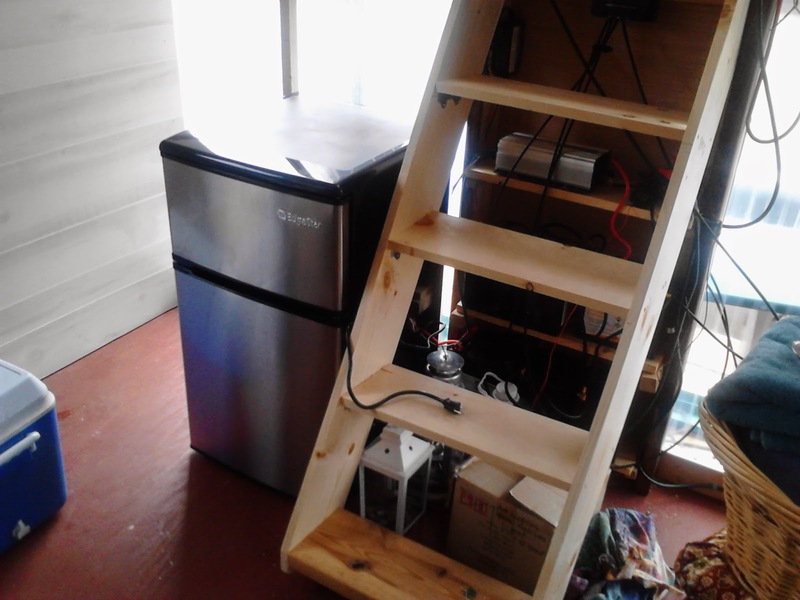 Since we've had a few cloudy days, the startup has put a bit of a strain on our electrical system, mostly because the fridge has had to run full blast in it's initial cool down, but once that is completed, we think it'll be just fine. I'm looking forward to NoT slogging ice to the boat every day.